Hope you are doing well. Surely you have been keeping busy since my last message – I have been doing the same with training, consulting and relaxing during a quick trip to Milan to see the Christmas markets. December is a month unlike any other in the US, because it can represent extreme productivity or extreme procrastination depending on your approach. Some retail businesses make 50% or more of their revenue in the months of November and December. Other businesses tend to hibernate from Thanksgiving until the new year. As individuals, if we have already hit our goals for the year we can relax until 2014 begins. Others may find themselves scrambling to get things done before the clock runs out. I find myself somewhere in between, focusing on completing tasks this week so that I can spend the rest of the year with family. The value proposition for Google Tag Manager gets stronger each day. Let me explain by giving examples of two recent training sessions. 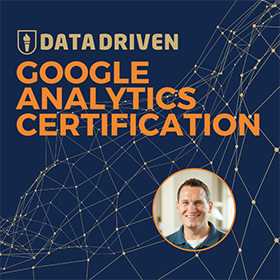 In both sessions I mentioned how these companies would benefit from enabling the new Demographics reports in Google Analytics for their site. Both companies were interested in the reports and asked that I enable them. 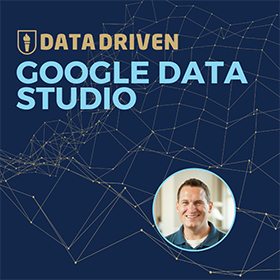 One company is using the traditional Google Analytics Async code to collect data and the other is collecting data through Google Tag Manager. In order to enable the reports for the first company, it required sending detailed instructions for a developer to implement the dc.js version of Google Analytics. It ended up taking somewhere around 15-30 days to get this code on the site. With the second company I was able to make the change by clicking a button within Google Tag Manager during our training session, and valuable data was being displayed in their reports by the next morning. Momentum is very important when it comes to adopting analytics in an organization. Do you know what kills momentum? Marketing waiting on technology. And this is to no fault of developers themselves, but rather the complicated and risky process of publishing to the web. Tag management solutions give marketing the power to decide their own direction of measurement. Which organization do you think will get more value out of the demographics reports? The organization who was able to start using the data within a day of their training or the organization who had to wait 30 days to see the data? How Would You Teach Digital Marketing? Beginning in January, I am venturing into the vast unknown teaching Digital Marketing at the University of St. Thomas in Minneapolis, MN. This is where I received my undergraduate degree 10 years ago, so it’s an honor to be considered an adjunct faculty member. It’s also somewhat intimidating to be tasked with creating a digital marketing program from scratch. Since there are very few examples of what a digital marketing program should cover, I decided to create the course around the knowledge and skills I would look for in hiring a digital marketer. To me it all comes down to knowing two things: How to get more customers and how to analyze your current and future ability to bring in new customers. The result is a 6 day course on Digital Marketing split into two disciplines: Digital Advertising Solutions and Marketing Data Analysis. 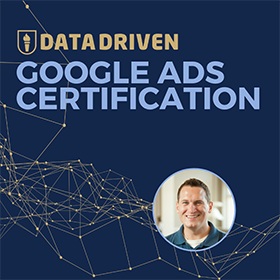 Each section involves 3 days of classroom teaching and when combined with another course, attendees can walk away with a “Digital Marketing Certificate” from St. Thomas. Why am I telling you all of this? Because I am still building curriculum and would like your help! Do you know of any great strategic resources (blog posts, presentations, case studies, books) I can refer to in my teaching? I am looking for anything from overviews of digital advertising methods to case studies about how marketing and analytics were used for company growth. If you have any ideas to share, all you need to do is reply to this email. Also, if you know anyone who may be interested in this course, it would be great if you can send them to the St. Thomas Website to learn more. SuperMetrics (supermetrics.com) – I used the Supermetrics Data Uploader to add Bing Advertising Cost Data into a Google Analytics account and it was very painless. While the front end site is a little buggy, this is the easiest and most cost effective way to import data from Bing into Google Analytics that I have seen. Klipfolio (klipfolio.com) – This dashboard tool was recommended by several people on the Google Analytics G+ group. Segment.io (segment.io) – Tag website once, send data to multiple services. Like tag management for startups. Adobe Kuler (kuler.adobe.com/create/color-wheel) – Create a color wheel or color scheme using this web based tool from Adobe. GTMetrix (gtmetrix.com) – Analyze the speed of your site with this tool that combines Page Speed and YSlow in a simple interface.